One of my favorite fall/winter investments is a solid pair of leather pants. Over the years I’ve acquired several different styles, ranging from quilted Theory pants to faux-leather trousers, to leggings with sleek panels. I’ve got a great variety now, but what I didn’t have until a few months back was a pair of leather jeans. While I love wearing my leather leggings and pants I have, I feel like I sometimes need to wear longer sweaters and jackets over them since they don’t have pockets. What I love about these leather pants is that they look exactly like my favorite black skinny jeans, but just in leather instead of denim! I feel more comfortable wearing shorter pieces or forgoing a jacket because they don’t have that “legging” look to them. Leather pants are an elevated alternative to jeans, while still having that comfortable look and feel. I just love wearing mine for all kinds of occasions! You can dress them up with heels and a gorgeous blouse, or dress them down with boots and a sweater. So effortless and versatile! 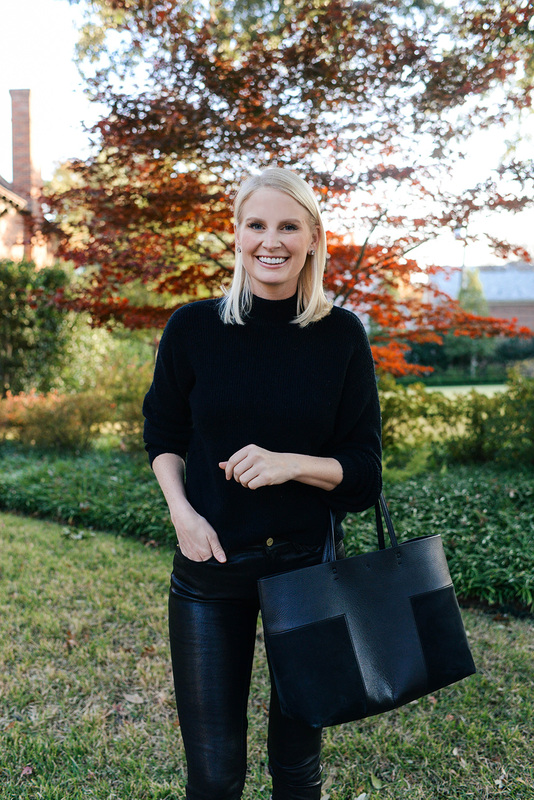 If you too are on the hunt for some high quality leather leggings or pants this season, check out some of my favorite styles below – I’ve included coated and faux leather options too! Get the look of my leather jeans with this coated pair for under $200! If you’re looking for a true leggings, I bought these this season and they are SO comfortable! High-waisted and flattering too. These Nordstrom Signature leather leggings are sleek and simple – a perfect everyday pair! This pair by Paige is on sale for $131! I love this jean style by Hudson, so I’m sure the fit of these leather pants is fabulous! This pair of faux leather leggings is under $79 – talk about a deal! Here’s another great coated pair of skinny jeans under $200! These J BRAND leather jeans look super sleek – love the subtle shine they’ve got!